Chikungunya, a viral disease spread by mosquitoes, has been confirmed in people on several Caribbean islands, the Public Health Agency of Canada says in a travel health notice. The U.S. Centers for Disease Control and Prevention said local transmission means mosquitoes in the area have been infected and are spreading it to people. The chikungunya virus can cause fever along with an arthritis-like pain in the joints and a rash. It is spread to humans through the bite of an infected mosquito. Although caused by a different virus, the symptoms of chikungunya can appear very similar to those of dengue fever. Dominica and French Guiana have each reported a case of chikungunya related to travel from within the Caribbean, the Canadian agency said. 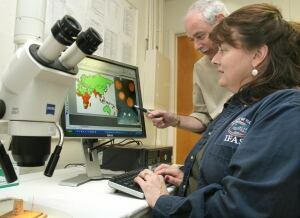 The disease is typically found in Africa, Asia and the Indian subcontinent, according to the World Health Organization. In recent decades mosquito vectors of chikungunya have spread to Europe and the Americas. Federal public health officials advise travellers to take precautions, such as protecting yourself from mosquito bites, particularly during peak mosquito biting times in the early morning and late afternoon. The Public Health Agency also recommends that people consult a health care provider or visit a travel health clinic at least six weeks before you travel. It says if you develop flu-like symptoms when you are travelling or within 12 days after you return, see a health care provider and tell them where you have been travelling or living.